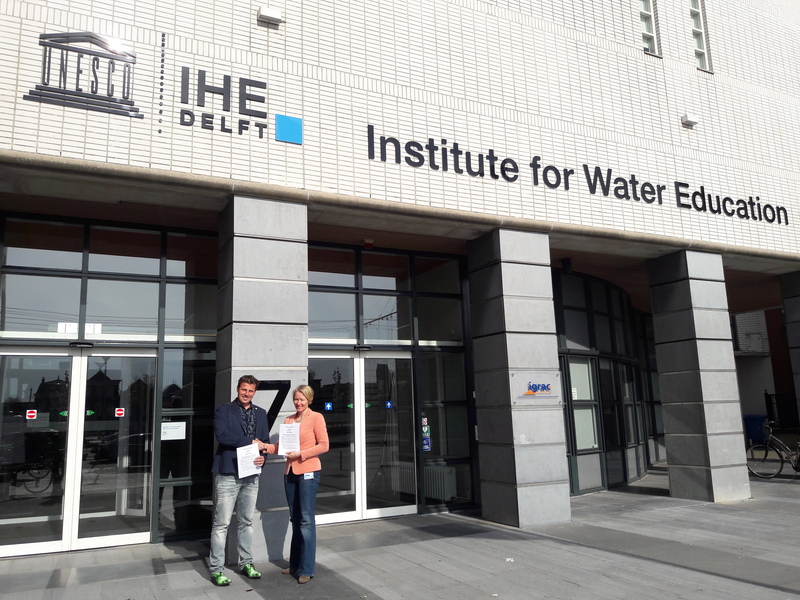 AfriAlliance and Wetskills signed a Memorandum of Understanding (MoU) on fostering a community of talented young water management professionals from Africa and Europe. AfriAlliance and Wetskills represent initiatives that have a mission to help solve water challenges. Both parties are dedicated to strengthening and integrating young talent within the water sector and promote cooperation, co-creation and knowledge sharing on water and climate actions.They aim to generate joint initiatives in order showcase local African case studies where international and local students can co-create solutions to local problems. The signing ceremony included AfriAlliance project director Dr. Uta Wehn and Wetskills managing Director Mr. Johan Oost.